You can almost hear the sighs of despair from worldwide pony and muscle car fans when the subject of going all electric is mentioned. Going all electric has been front of mind recently with news of Ford producing hybrids or even fully electric powertrains for future Mustangs. Some reports have said that the Next Generation Ford Mustang in 2023 will feature an all electric powertrain. A Mustangs styled SUV EV is a possibility and with Ford patenting a hybrid V8 engine, it may seem on the surface that the beloved V8 engine is on its way out. 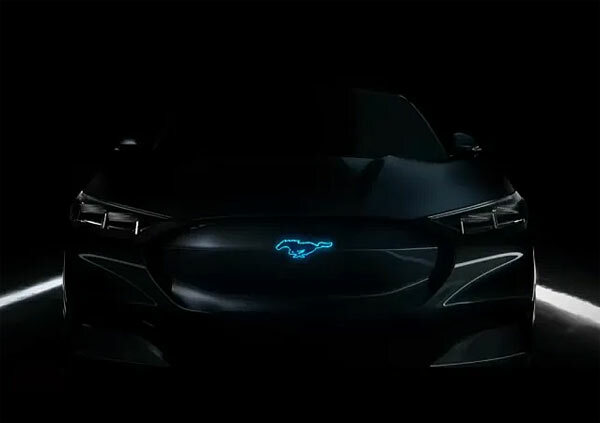 Rumors were heightened of an all EV future for the Mustang on Wednesday when Ford announced that it will use the flat Rock, Michigan assembly plant to build Ev’s in 2023 which will include autonomous commercial vehicles. A $900 million investment, creating 900 jobs has been planned, with the electric SUV setup for production at the Cuautitlan, Mexico plant next year. All this basically means that Ford are prepping two North American plants to build Ev’s, a new facility for autonomous commercial vehicles in 2021 and traditional Mustangs along the way. With the 2020 Shelby GT500 on its way, it doesn’t look like the V8 is on its way out. Ford and the other pony/muscle car makers are well aware of their standing and past history, which means they aren’t going to dump the V8 overnight because electric is now the new fashion. Ultimately, it’s going to be a slow transition to hybrids and then possibly limited edition models of V8s. An all electric muscle or pony car is still feeling like a bitter pill to swallow, but fear not there’s plenty of years left. One analogy is with the analogue and digital watch. Once digital watches became cheap to manufacture, they took over the majority of the market. Analogue watches then became more of a high-end, specialist item which people respected for their handmade and traditional nature, just as accurate, if properly maintained. Muscle cars may ultimately follow the same route. They may be clockwork in a digital age, but revered by those who appreciate a well oiled machine. Digital may be as accurate, but there’s nothing like the tick of a well serviced timepiece. Same goes for the roar of a V8.